One volume knob, one tone knob and an on/off switch ! Delivering enough power to play small gigs with, yet compact enough to be classed as a practice amp. The Pro Junior IV includes a 10″ Jensen® P10R speaker for tight, well-balanced output with plenty of high-end sparkle. The modified volume circuit breaks up more gradually, allowing precise gain adjustment to make tones that range from immaculately clean to devilishly mean, and offering tighter bass with improved definition when overdriven. 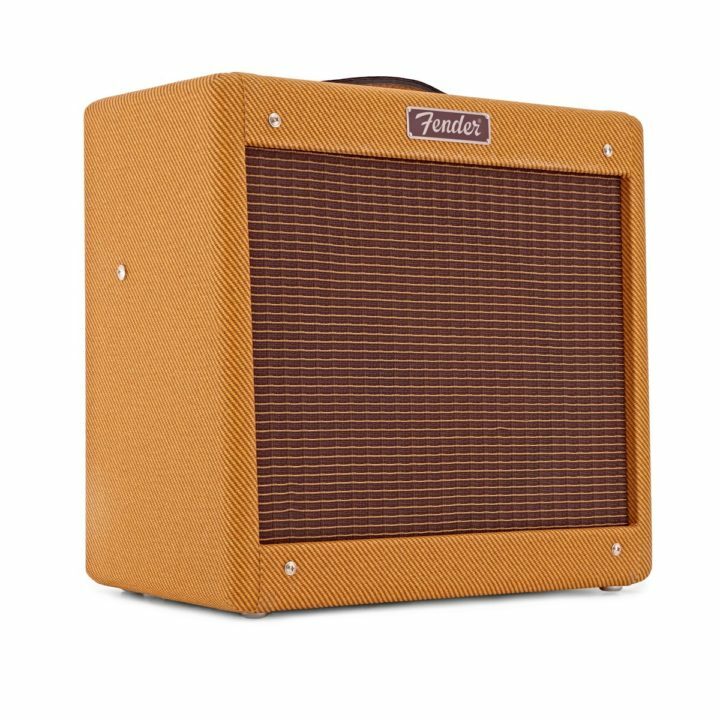 The stage-ready style features a lacquered tweed covering, vintage-style ’50s grille cloth, chrome control panel with red jewel light and a leather handle, giving it the unmistakable look and vibe of a classic Fender amp. Reliable, flexible and pedal-friendly, the Pro Junior IV is an ideal addition to any electric guitarist’s amp collection.